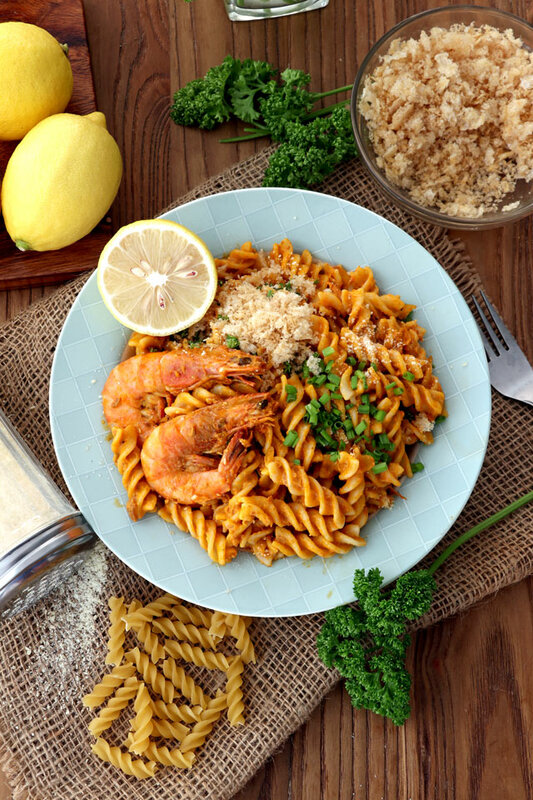 Try this special Aligue Pasta for a rich and flavorful treat. 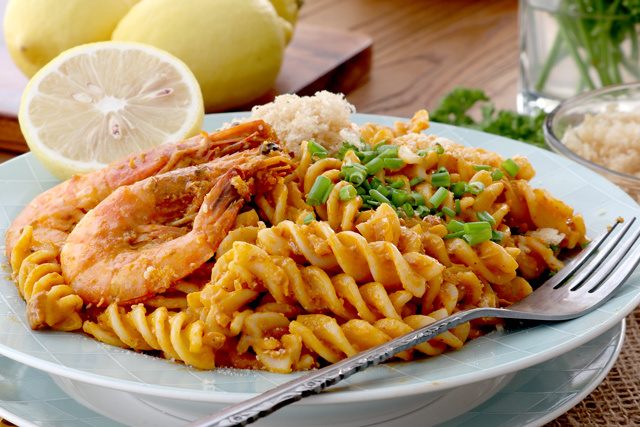 Made with perfectly cooked fusilli pasta tossed in a thick, creamy sauce made from crab fat and cream. With a little tanginess from lemon juice then topped with shrimps and crushed chicharon (pork rinds). Aligue Pasta (or Pasta Aligue) is my family’s pasta of choice whenever we go out to dine. If the restaurant has it in their menu it is sure to be on our table. There is a cozy restaurant in our town that makes one of the best pasta I’ve ever tried, the Parmisano’s. They offer pizza, pasta, chicken and other dishes with Italian flare but infused with local Kapampangan flavors. Our favorite is their Shrimp Bisque Fussili. This Aligue Pasta Fusilli recipe is greatly inspired by that dish. 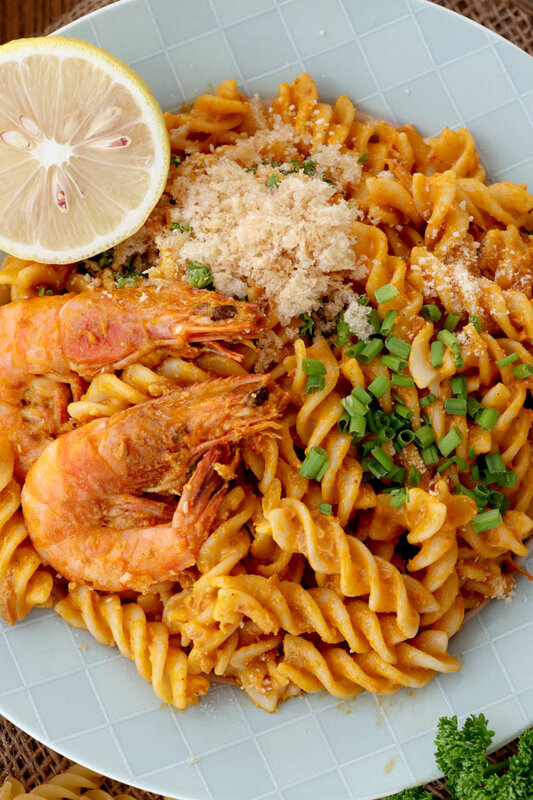 It is a fusion of Italian, as represented by the pasta fusilli, and our traditional Pancit Luglug (Kapampangan version of Palabok) where the toppings of shrimp and chicharon were taken from. If you are in San Fernando, Pampanga area, I highly recommend trying this place. We love Aligue pasta so much that this is actually my second time to write a recipe post about it. 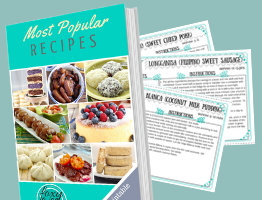 The first one I wrote was way back in 2014, it is a simpler version of this pasta aligue recipe. I still use that recipe especially if I am only cooking for me and Armin. 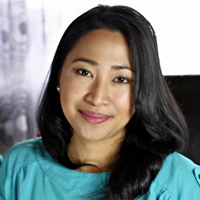 The star ingredient in this recipe is the crab fat or ‘taba ng talangka’. It is the deciding factor that will make or break this dish. You can buy them in cans or jars. 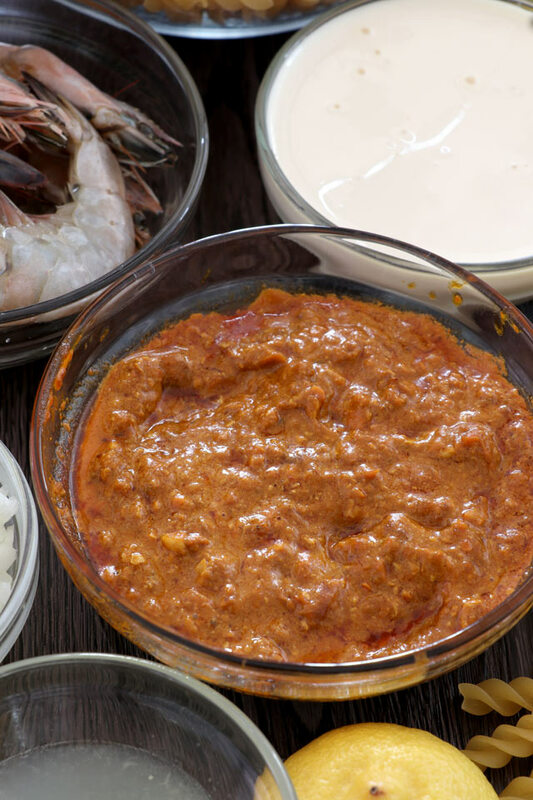 But since it needs a lot of talangka (crab shore) to fill a bottle, some sellers add extenders like cornstarch or flour in their products. 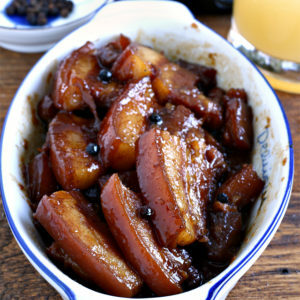 It would be best, of course, if you can get hold of pure ‘taba ng talangka’ to get the best result for this dish. They could be a little pricey though but well worth the money. I got my glass of ‘taba ng talangka’ from a reliable source since he prepares them himself. So unless you have your own source that makes pure ‘taba ng talangka’, look (and test) brands that do and stick with them. For a long time, we are told that we have to eat crabs and other shellfishes sparingly because it is high in cholesterol which is supposedly bad for our health. Recent studies, however, have shown that diets high in shellfish can actually lower harmful forms of cholesterol in the bloodstream. Not only do they have a low-fat content but about half of that fat is in the form of beneficial omega-3 oils. If this is all true then nothing could stop me from making and indulging in this delectable and flavor-rich Aligue Pasta Fusilli more often. 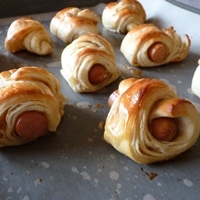 Try it this coming holiday season to replace your usual pasta dish and give your peeps a nice and yummy treat. 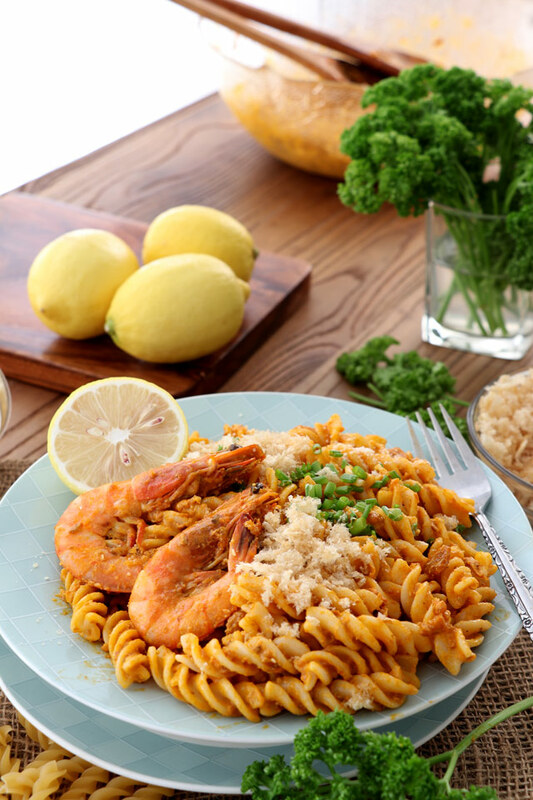 Try this special Aligue Pasta made with fusilli tossed in a creamy sauce of crab fat, cream and lemon juice then topped with shrimps and crushed chicharon (pork rinds). Cook fusilli as per package direction. Drain and set aside. In a saucepan or skillet, heat oil in medium high. Cook shrimp for a minute each side or until they turn pink. Remove from pan and set aside. In the same pan, saute garlic and onion until aromatic and tender. Add the crab fat and cook for a minute. Remove the shrimps again and transfer to a small bowl. Transfer fusilli to a large bowl or casserole. 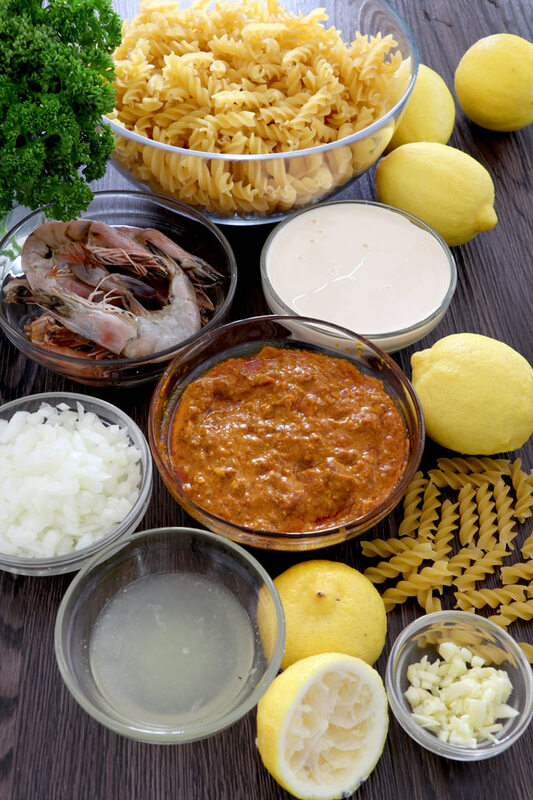 Add the aligue sauce and toss until the fusilli are completely coated with sauce. Top with crushed chicharon (pork rinds), shrimp, and chopped green onions. You may add some grated Parmesan cheese if desired. Note 1. If the sauce gets too thick, just add a little water, about a half cup.